Is your Rimage Prism or PrismPlus broken or starting to fail during the printing process? 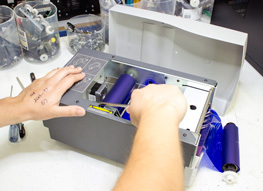 We can fix your Rimage thermal printer in a week or less. Pricing starts at $195 for the test and advise process. Spare parts are additional.